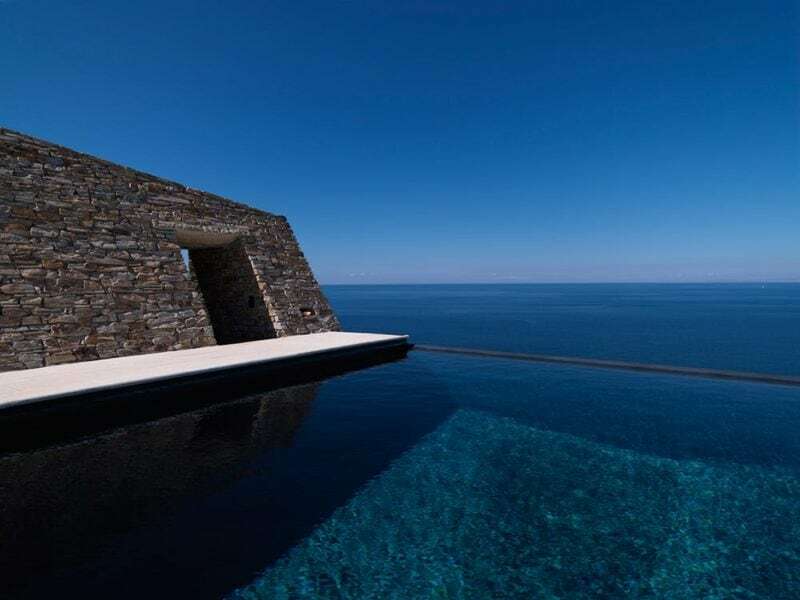 Offering a selection of luxurious Cycladic villas, a boutique beach hotel and customised concierge services, OLIAROS is your one-stop expert for Antiparos —whether you are looking for the perfect summer holiday villa, the ideal seaside venue for your private event, or the best travel tips for exploring the Cyclades off the beaten path. 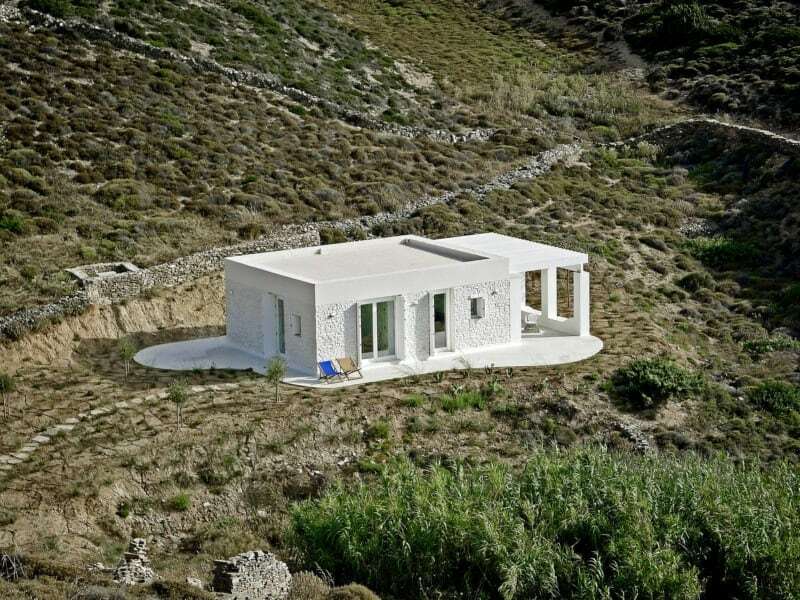 Easily the best house in Antiparos, and maybe the Cyclades. 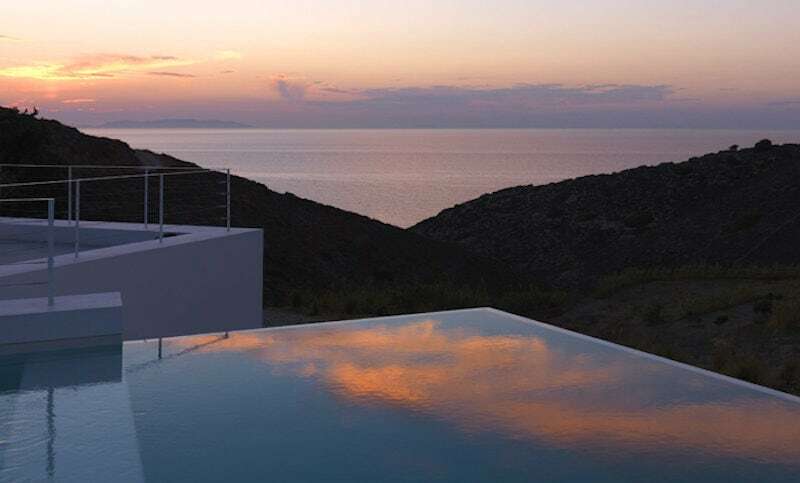 Perched on a steep slope overlooking the Aegean, the Cliffhanger offers unobstructed views northwest and spectacular crimson skies every sunset. 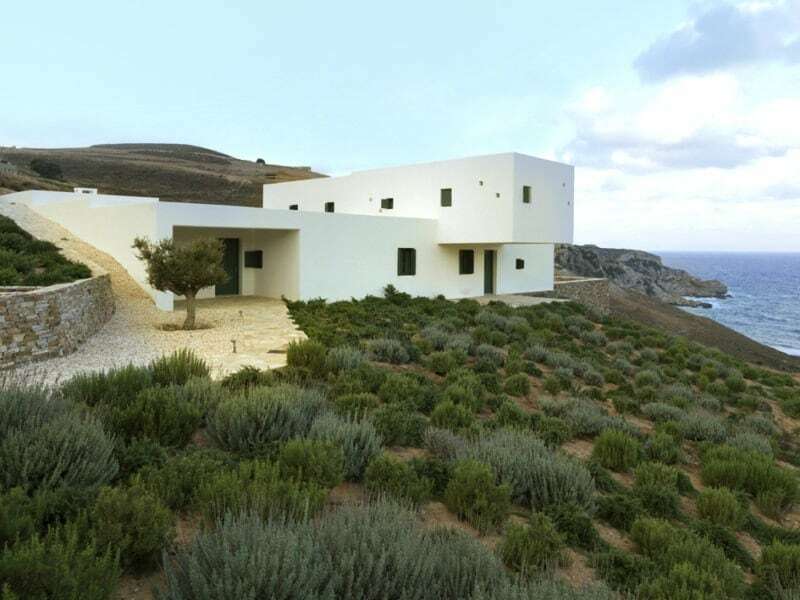 Flagship of the Antiparos Design Properties project, this award winning house is situated on the top of a hill enjoying a 360 – degree view of the Cycladic islands and the straits between Paros & Antiparos. 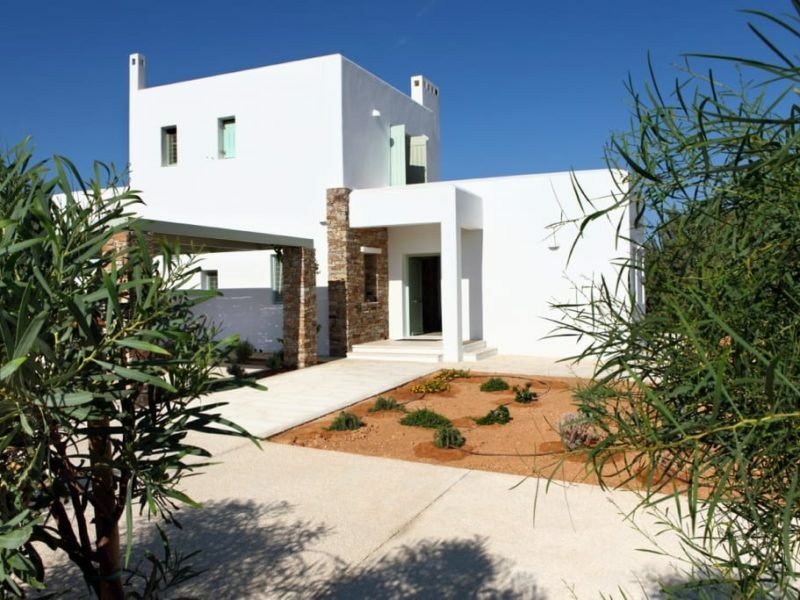 Compact and well-designed, APS Villa is much more spacious than its minimal appearance might imply. 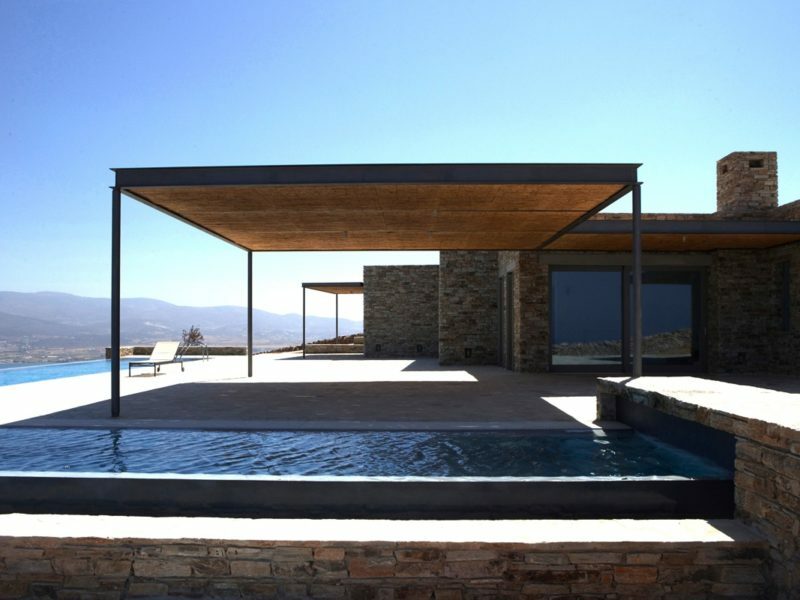 Named after the constructed helix that twists over the pool and frames a stunning view into the Aegean, the villa is developed around an interior courtyard. Around it, the living room, the dining area and the kitchen. Named after a 750 year old cedar tree found in its garden, villa Kedros is offering a combination of dramatic views and lush, varied landscapes. 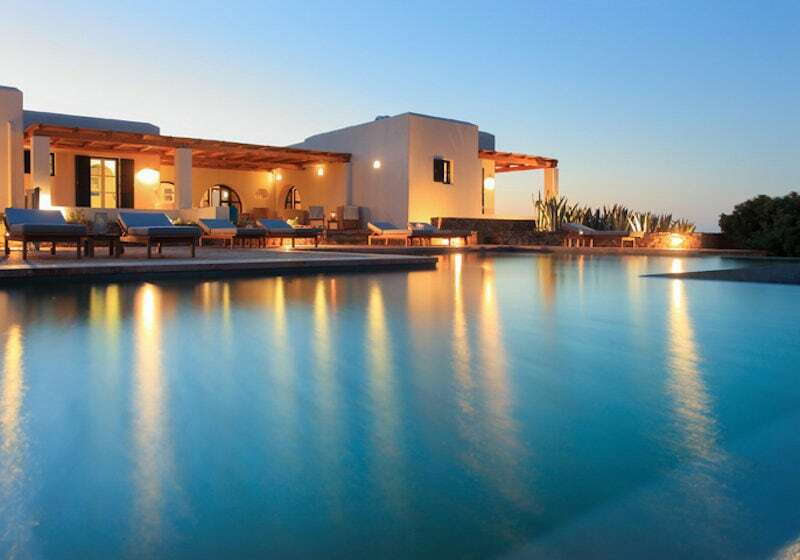 One of the most exclusive and unique properties on Antiparos, Ktima is a contemporary holiday house that has been featured on BBC’s The World’s Most Extraordinary Homes. A stylish and easy minimalist guest house that makes one feel at home and at the same time in direct contact with nature. A unique and elegant accommodation proposal for a couple, or a couple with children. 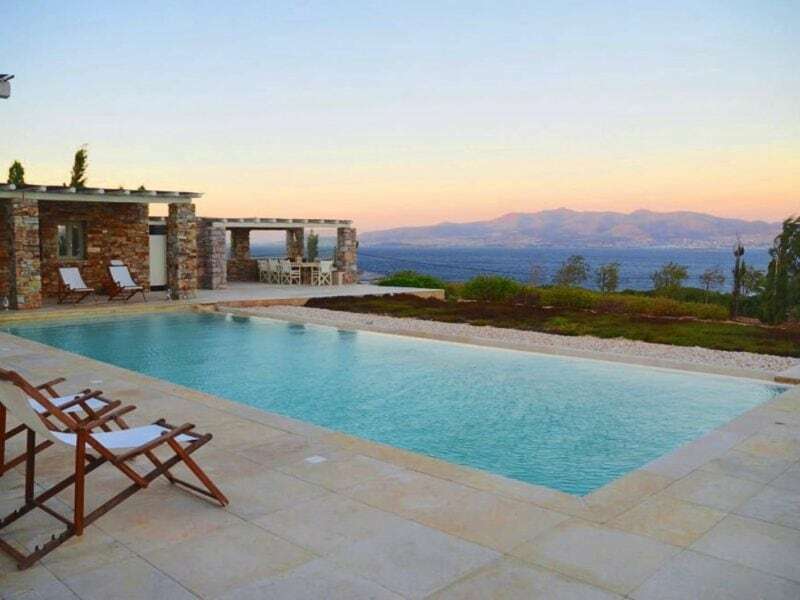 Surrounded by its beautiful vineyard, the villa with stone-wall finishing offers spacious outdoor living areas, including a large outdoor jacuzzi. Just 50m. 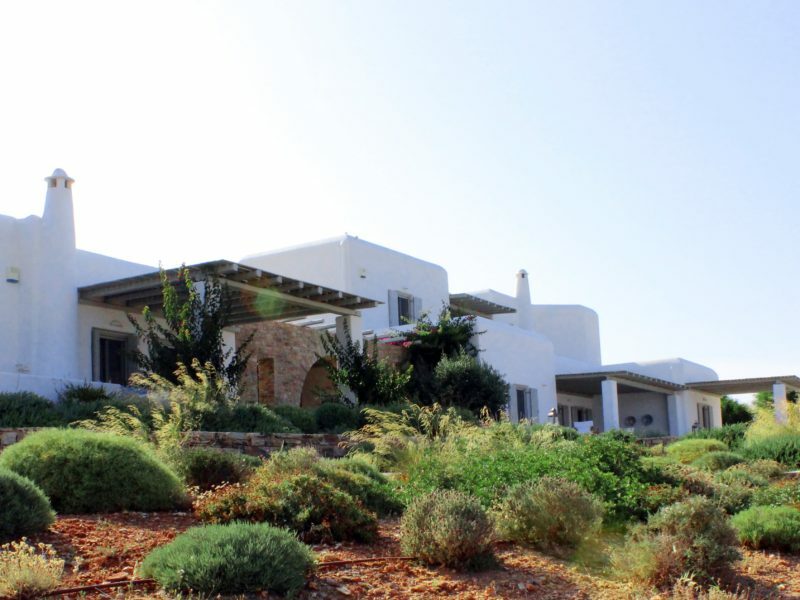 away from 3 Aliki beach and with its own beach house, 3Aliki House is a perfect accommodation choice for those who are looking for simple, yet top quality accommodation. 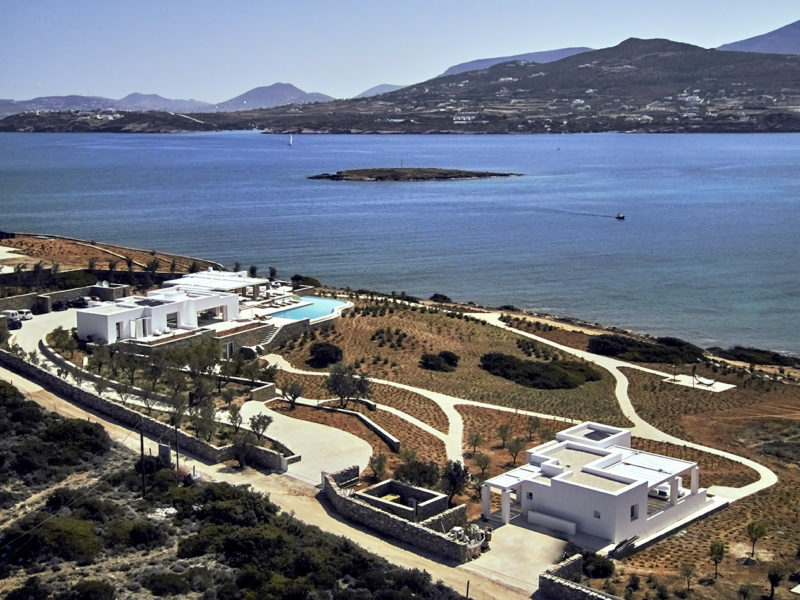 A unique mediterranean style beachfront estate located at one of Antiparos’ most scenic spots. A main house and a cottage a small vineyard and access to a semi-private beach with a shaded private area and deck chairs. 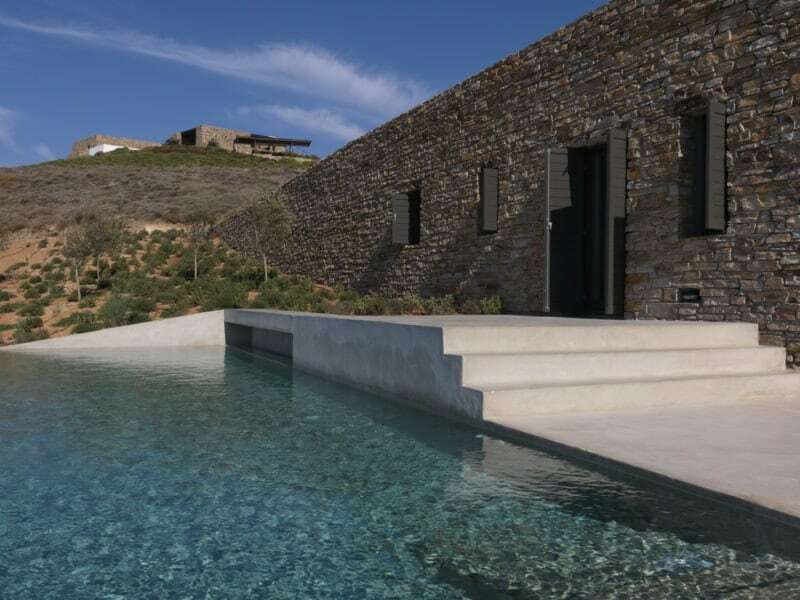 This award-winning villa, lies between two slopes, bridging them by two long stone walls. Located at Pigadakia, Aloni offers generous sunrise and sunset views emerging from the natural, cycladic landscape. Ring is designed with focus on privacy, without blocking the view. 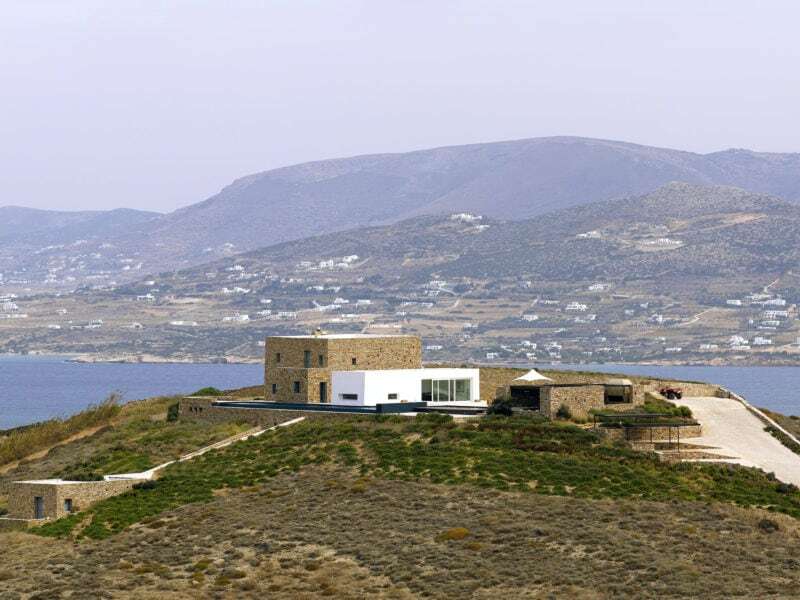 This subtractive, minimal villa allows a panoramic view towards the dramatic western hillside and the beautiful eastern views towards Paros. 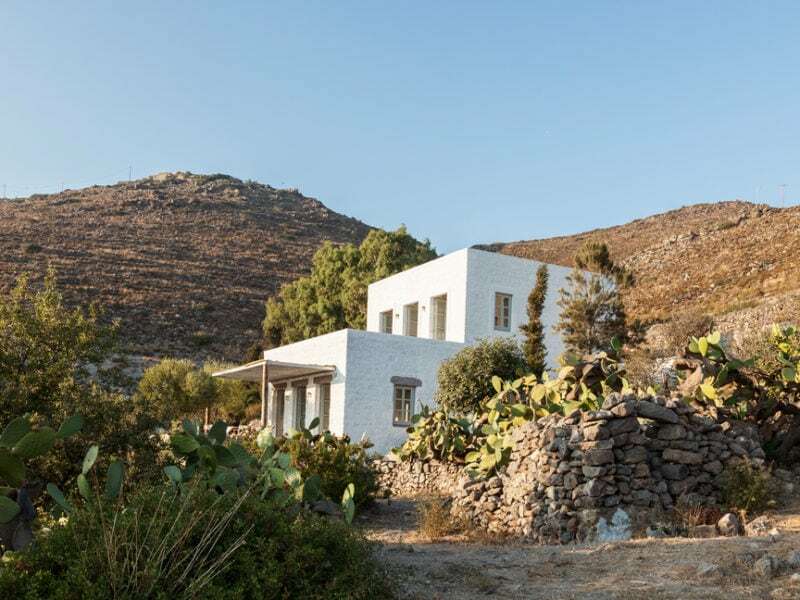 Situated right in the middle of the island’s southernmost peninsula, Villa Petalida turns its back to the mainland and offers a nearly 270-degree panorama of the Aegean. 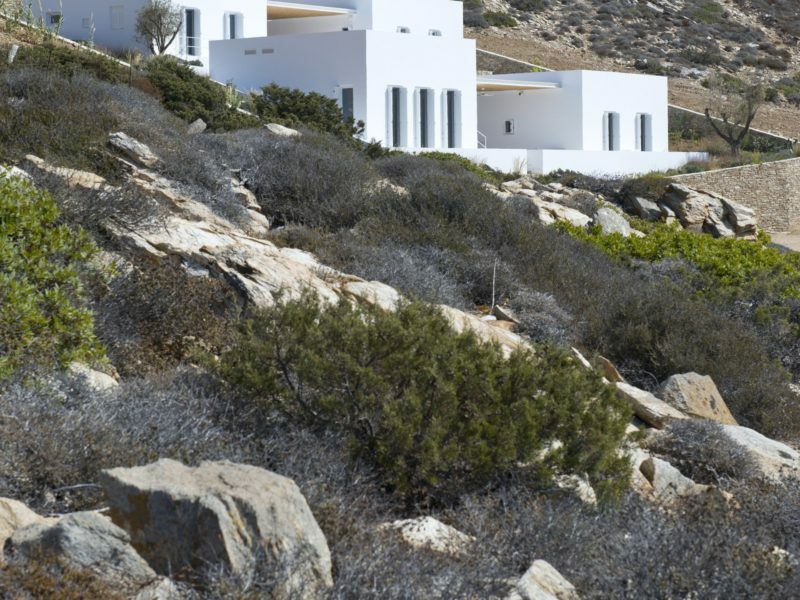 The fragrance of lavender and unparalleled views of the Paros-Antiparos strait welcome guests to Gaura White House, a contemporary five-bedroom villa that brings together the best of tradition and modern comfortable living. This spectacular 350-square-meter villa has been recently completed, and is fully equipped with the latest amenities necessary for a carefree holiday at any time of the year. 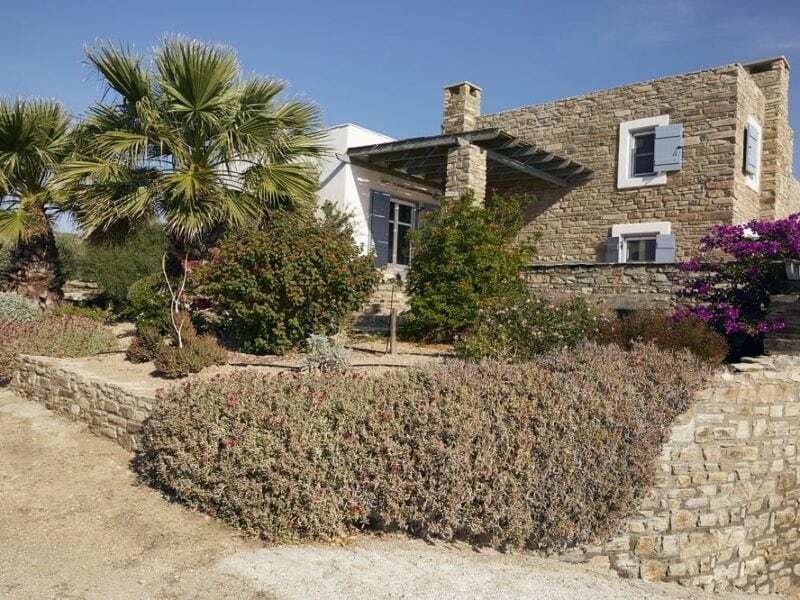 This comfortable villa is surrounded by a small forest of junipers, and can accommodate a family and their guests in the main house and its adjacent two-bedroom guest house. 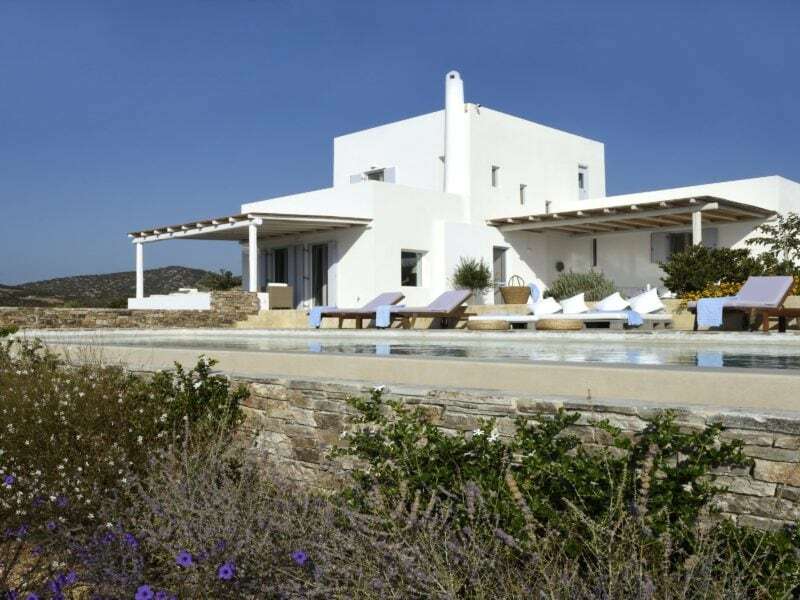 Surrounded by one hectare of land, this spacious villa sits on a peaceful slope overlooking the Paros-Antiparos strait, offering the ideal location for endless gazing into the Aegean blue in complete privacy. The design-conscious owner of this villa has filled the property with all the small details that will make guests enjoy their stay to the fullest. 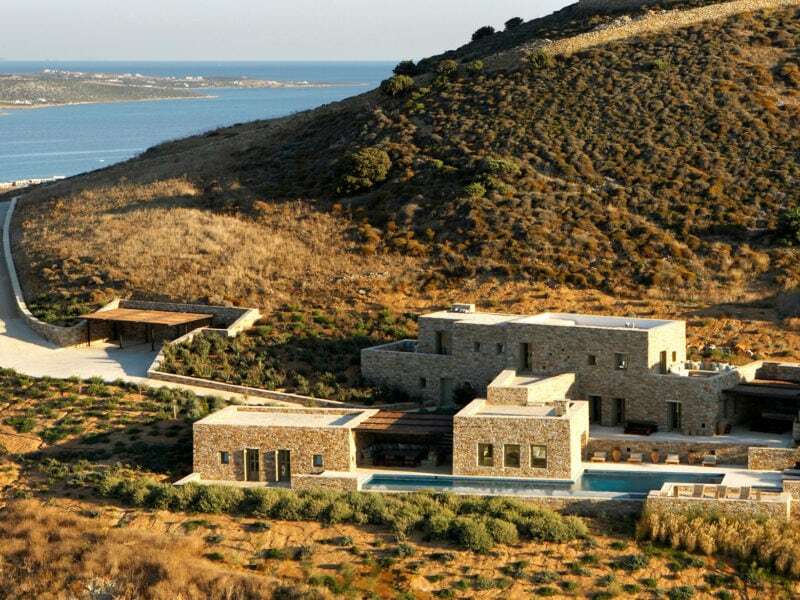 One of the most beautiful estates on the island of Patmos, just a 3-minute drive from the port and 10 minutes away from Chora, while still being private and secluded, offers breathtaking sunsets and great vistas of Chora.